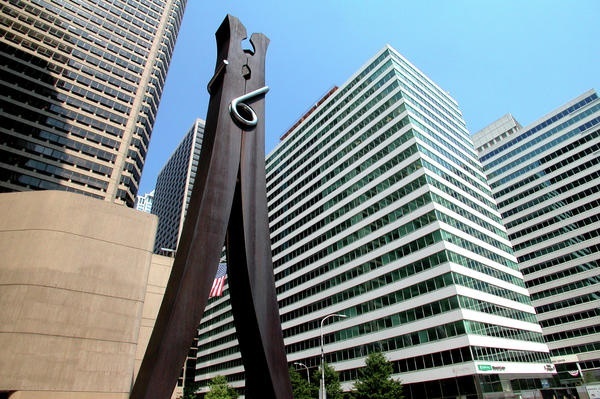 Located in the Central Business District, this superb business center in Philadelphia provides a professional, supportive environment in which small business owners can work productively and meet clients. Set up shop in a prestigious Class A high-rise office building prominently located at the intersection of 15th and Market Streets, right in the heart of the action. Office clients and their guests have immediate sheltered access to SEPTA regional rail lines, as the public transportation hub lies directly beneath the building. The lines link Center City Philadelphia to surrounding Pennsylvania counties and Southern New Jersey suburbs, in addition to Amtrak's 30th Street Station and Philadelphia International Airport. As the largest city in Pennsylvania and the sixth most populous in the country, Philadelphia has a great deal to offer both its residents and businesses alike. Nicknamed the "City of Brotherly Love," Philadelphia is a commercial, educational and cultural center in the U.S and from the scale and size of the city's market, to the national and global access of its east coast location, to its highly educated and diverse labor pool, Philadelphia is truly at the center of a dynamic and thriving region. Philadelphia's economy is driven by innovation with industry-leading companies and institutions across a wide variety of sectors such as healthcare, telecommunications, life sciences, advanced manufacturing, warehouse and transportation logistics and education. Philadelphia offers a very high quality of life with a vibrant downtown, world-renowned arts and culture and accessible public transportation. If you are searching for a premier Philadelphia space to rent or lease, let ABCN handle everything for you! From start to finish, ABCN is here to help. Give us a call at 1(800) 869-9595 to speak with a representative about executive office space in Philadelphia.